Clearing and only one left!!!! Its Aussie made. It's strong. It's Durable. It's Greenfield first ever range of zero-turn mowers. Teaming up with Graden Greenfield have designed a robust machine made for Australian conditions in Australia. 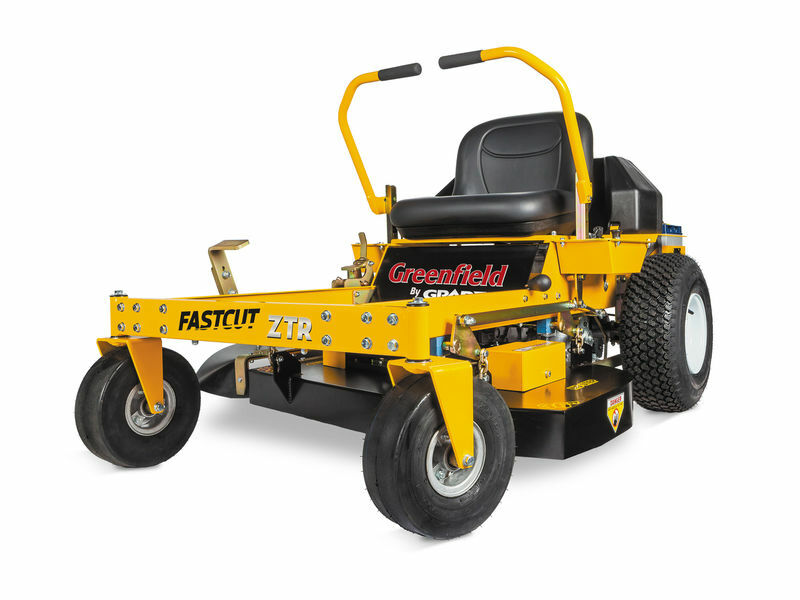 Like the Greenfield ride-on mowers you have learnt to love this zero turn is fitted with swing back blades accompanied by a thick fabricated cutting deck and spindle housings. The 36" is small and compact giving you the ability to fit into all the tight areas in your backyard. The reason this mower is cheaper than the pro version is because it isn't fitted with steering dampers, control panel and the deck system isn't quiet as strong. In saying that it is still a very strong and well rounded machine for the right job. With a 2 year warranty you are guaranteed to be using a product supported by the manufacturer. Come in and see one today! Equipped with fully fabricated spindle housings for extra strength and protection, accompanied wit over-specified bearings complete with dust and water resistant caps. The heavy duty cutting deck manufactured from 3mm fabricated steel with a reinforced 4mm top plate gives the Greenfield zero turn a robust and durable design. Its 42" cut is generous but not too big still allowing you to get into the tight areas. The swing-back blade system also protects the spindles with the blades having some give if you happen to hit something.